Peas are the small seed-pod or spherical seeds of fruit pods of Pisum sativum. Peapods are botanically a fruit, as the seeds they contain develop from the ovary of a flower, which is the pea itself. A single pod contains several peas. It is an annual plant that has a one year life cycle and is an easy plant to grow. Planting can be conducted from winter to early summer depending upon location, but peas are best known a cool season crop that is grown in almost every part of the globe. Most varieties of peas will stop producing pods once the temperature exceeds 70°F (21°C). The average weight of a pea is between 0.1 and 0.36 grams. This species are part of the legume family: Leguminosae. These extract nitrogen from the air and store it in the small nodules found at their roots. Once the plant finishes cropping, the roots should be dug directly in the soil for them to release nitrogen for other plants to use before they decompose. 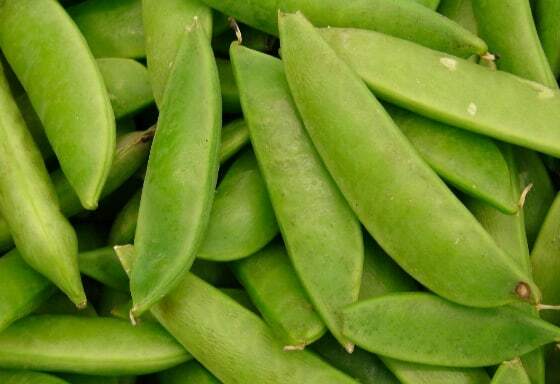 There are two primarily variants of peas: the mangetout (flat-podded, French for eat everything) and shelling. The latter type mature at different times, with the earliest types normally taking about 12 to 14 weeks, while the main crops take 16 weeks. Shelling peas can either be wrinkled-seeded or round varieties. The wrinkle-seeded peas are normally chosen for sweetness and summer sowing, while the round seed peas are best for early sowing and hardiness. Blackeyed peas (the most common variant) include Big Boy (60 days to harvest); Queen Anne (68 days); Blackeyed Southern Peas (60-85 days); Magnolia (70 days); California Blackeye No. 5 (75 days); and California Blackeye (75 days). Cowpeas include Queen Anne (60 days); and Lady (60 days). Crowder peas include Pinkeye Purple Hull (50-85 days); Brown Crowder (65 days); Mississippi Silver (70 days); Mississippi Purple Hull (70 days); Knuckle Purple Hull (75 days); Calico Crowder (79 days); and Colossus (85 days). Creampeas include Zipper Cream (70 days); Cream (70 days); and Running Conch (95 days). Sow seeds in full sun, although peas can grow in partial shade their yields will be reduced. Choose a site with a well-drained loose soil; most pea varieties prefer sandy, loamy soil. 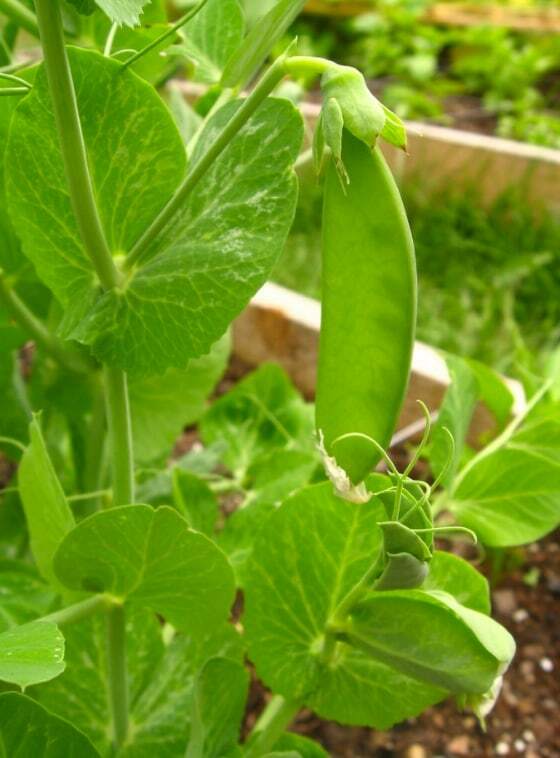 As with other legumes, plant peas in an average soil that is rich in organic matter. Adding organic fertilizer or aged-manure two to three week in advance will greatly improve the pea growing soil. Peas prefer soil with pH of 6.0 to 6.5, though up to pH7.0 should be fine. Sow pea seeds (up to three-years-old) when soil has warmed to at least 60°F (15°C), which is normally about four weeks after the last frost date. Cover the soil with polythene prior to planting in early spring, and then protect tender seedlings with a fleece. Germination can take from 9 days (60°F; 15°C) to five weeks (40°F; 4.5°C). 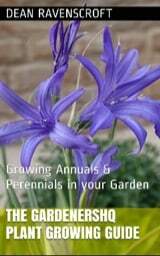 Make successive plantings through to late spring. It is possible to sow peas earlier than this (early spring), but as peas are slow to germinate there is no real advantage to doing so (unless you want to get the job over with). Shorter varieties should be planted in a flat trench that is two inches (5 cm) deep and ten inches (25 cm) wide. Water the trench and sow the seeds with rows spaced two inches (5 cm) apart in three rows at the bottom of the trench. Fill the trench with soil and gently firm the ground. For taller varieties of peas, ensure that there is sufficient space for plant supports, Seeds should be sown in a single row two to four inches (5 cm to 10 cm) apart. Create a single V-shaped drill that is two inches (5 cm) deep, water the base of the drill, and plant the seeds. There should be at least 12 inches (30 cm) spacing if adding a second row. Peas are best planted / interspaced with companion plants such as spinach, Maize, Green-Beans, carrots, turnips, radishes, and cucumbers. Avoid planting them with onions, garlic, or potatoes. After the harvest grow late season vegetables such as pumpkins, broccoli, potatoes, and leeks in the same area as they will benefit from the environment created by pea growth. Peas should be rotated, only use the same location every four years. Avoid sing fertilisers rich in nitrogen as this will reduce flowering and fruiting capacity. Do not over-water during flowering as this will reduce yields. Do not let the peas dry out and keep the soil evenly moist. Water at the base of the plant as overhead watering can reduce the yield or cause the small pods or flowers to fall off. At midseason, side dress the plants with compost tea. Place supports in during planting time. Spider mites, aphids, bean beetles, and leafhoppers mostly attack peas. Beetles and aphids can be controlled by hosing them off plants or through hand picking. Simply pinch out aphid-infested vegetation. Remove plants that have been infested with spider mites and place them in a paper bag before throwing in the garbage to prevent them from spreading to other plants. Peas are susceptible to rust, mosaic, mildews, wilt and anthracnose. These can largely be avoide by planting disease resistant varieties. Always keep the garden clean and free from debris as this will help to prevent the spread of plant diseases. To avoid spreading fungal spores it is best to avoid working with plants when they are wet. Harvest from the bottom of the plant and work upwards. Regular harvesting is important throughout the season for a truly fresh pea. When harvesting is complete cut off the stems at ground level and do not pull the plants after the harvest. Peas can be stored in the refrigerator for a week or two, and they can also be dried and stored in a cool, dry place for up to 12 months.